President Cyril Ramaphosa’s stimulus package to revive SA’s economy is unlikely to deliver a “significant boost” to economic growth, according to Fitch Ratings. The global ratings agency on Tuesday issued a report on the economic stimulus and recovery plan announced by Ramaphosa on Friday. Fitch said the president’s announcement did not change its GDP growth forecast for SA of 0.7% for 2018 and 2.1% for 2019. "Several of the measures relate to existing proposals, and others will take time to finalise and to have an impact," Fitch said in a media statement. "The plan does include measures that could support growth, but many relate to long-standing policy ideas that have been slow to implement." "For example, the approval of the revised Mining Charter was widely anticipated, but its likely impact remains unclear. The decision not to proceed with the Mineral and Petroleum Resources Development Act Amendment Bill had already been announced and replacement legislation will take time to draft. 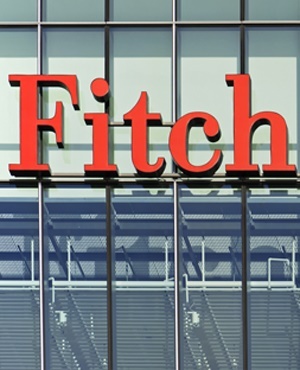 Radio spectrum auctions have also been delayed," said Fitch. The ratings agency said a key aspect of the plan - the reprioritisation of R50bn in spending - could be "modestly positive for growth as the measures targeted could have a greater multiplier effect, as could greater public-private infrastructure investment". Ramaphosa on Friday also announced a R400bn infrastructure fund, but Fitch said it is not clear how the fund would operate and whether it will increase contingent liabilities to government. The ratings agency also flagged the recent rand depreciation as something which could complicate policy meant to tackle low GDP growth. "Low trend growth is a persistent sovereign credit weakness for South Africa, reflected in the country's rating of 'BB+'/Stable," the report read. Fitch added that balancing growth boosting measures with pressure to address high inequality and priorities of fiscal consolidation would be a challenge, if growth did not recover. "With a general election due next year, the government may be less willing to offset any deficit overshoot," Fitch noted. The ratings agency, which has South Africa's sovereign credit rating at below investment grade, will be observing how the fiscal policy evolves in response to weak growth for its sovereign ratings assessment.